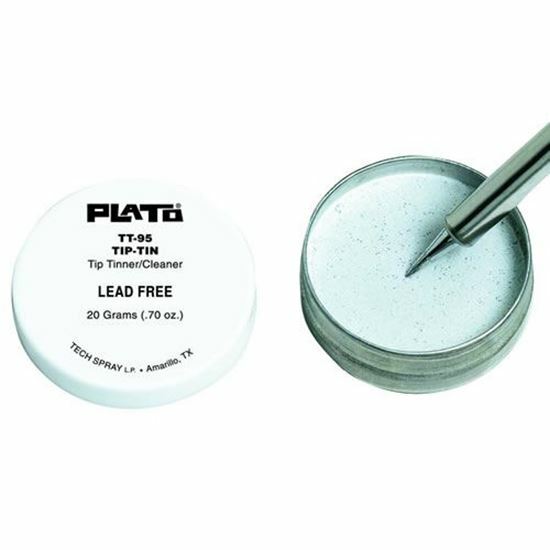 Plato’s Tip-Tin provides fast, efficient cleaning and re-tinning of highly oxidized soldering iron tips safely and efficiently. This thermally-stable compound is lead-free, ESD, and environmentally safe. A well-tinned soldering tip improves operator performance and satisfaction. Just wipe the oxidized soldering tip at normal soldering temperature into the tip tinner for a few seconds until the bright tinning surrounds the working end of the tip. 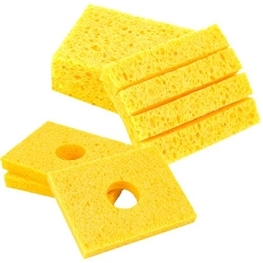 Wipe excess residue on a wet cellulose sponge.